This recipe intrigued me. 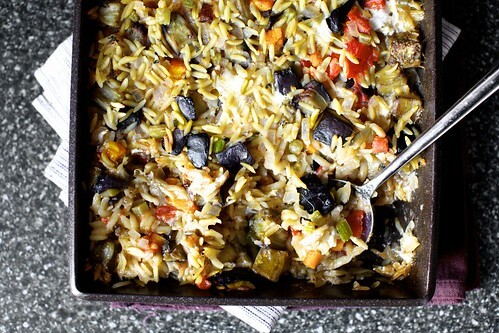 I am not a huge eggplant fan, but I love orzo and tomatoes. The fried eggplant almost caramelizes and brought me to pairing this dish with a Viognier. The body and viscosity of Viognier together with the hints of coconut I thought would pair well. Get the recipe here from Smitten Kitchen.